Qube Gallery is proud to present to you one of the most awaited exhibitions this year. BETTER YET DON'T is the group exhibition of 11 Ilonggo contemporary artists. The exhibition features a conceptual collection of wall bound art, mixed media work, sculpture, and installation view. 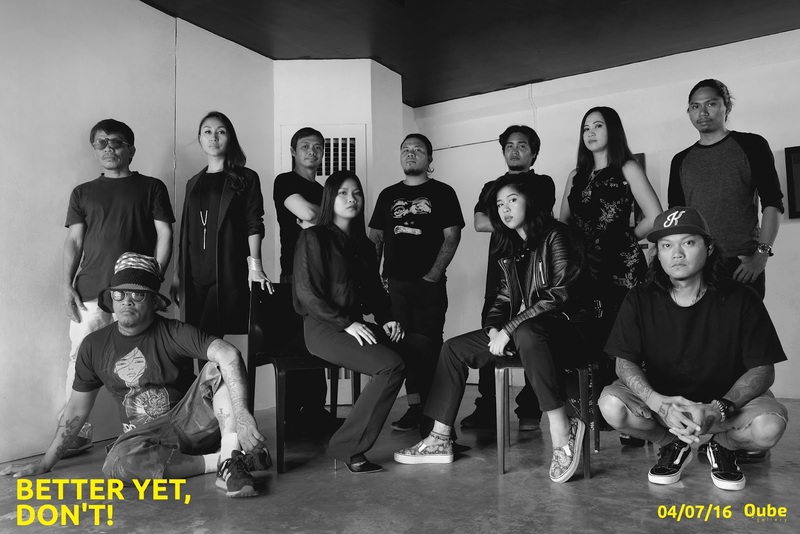 The show launches with a cocktail night on the 7th of April, Thursday at 6PM in Qube Gallery, Crossroads, Banilad, Cebu City, Cebu PH. 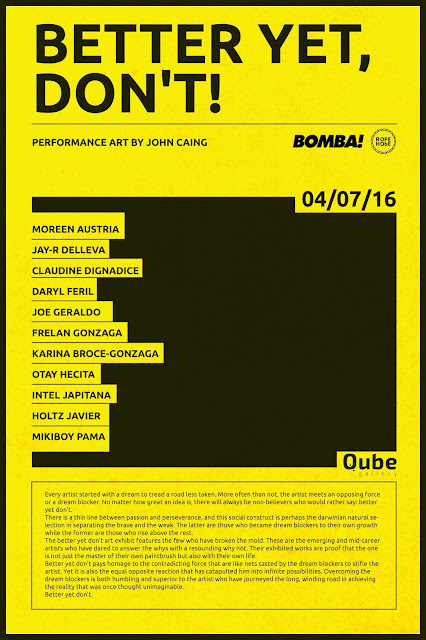 It will be this month's headline event featuring DJ Massimo La Magna and a special performance art piece by John Caing. The artists will also be flying in to attend the opening reception. Show runs until April 25, 2016.